Since 2005, we have been developing and manufacturing automatic end-of-line palletising systems, with robot stations, complete solutions for packaging palletised products and systems for handling and transporting pallets. We can supply technical consulting, customised solutions, clear offers, timely delivery and after-sales support with our qualified technicians. We are team of young experts: innovation, creativity and our good will make our systems truly unique. To make all this possible, our team works at our headquarters in Fiorano Modenese, in 2000 square metre facilities, and employs the best technology available. We strongly believe that automation of production lines is the manner in which our customers should proceed. Finding the right solution is the satisfaction that we wish to share with them. Today SABA Automation is a leading company both on a national and an international level. We handle orders coming from all over the world thanks to the most sophisticated IT systems to tackle the challenges of the future. the best technology makes it possible to obtain a high standard of complexity and innovation, whilst maintaining use as easy as possible. SABA Automation has always been putting this policy into practice by creating projects built around the needs of the end user. Since we are aware of the confidence that our customers place in us, we always offer the best to guarantee excellence that resists time. Understanding and helping a customer is the best sales policy. SABA Automation is based on sound principles. It can count on the support of excellent co-operators that, over the years, have allowed us to become a fully autonomous and independent enterprise. This independence is a distinctive feature of SABA Automation. It characterises our company organisation and allows our employees to be free to make the right choices. We can independently decide to invest strategically in technology, research and staff training. each team is made up of different people. These differences are the added value which is an asset for the entire company. At SABA Automation, we know that a team works when each individual is respected. Personal growth is the basis of common development. We appreciate the particular talent of each team member so that common aims can be realised. Teams can reach results that single persons can only imagine. curiosity and the will to become better and better are the driving force of our company. In other words, we never sit back and relax but always look forward. 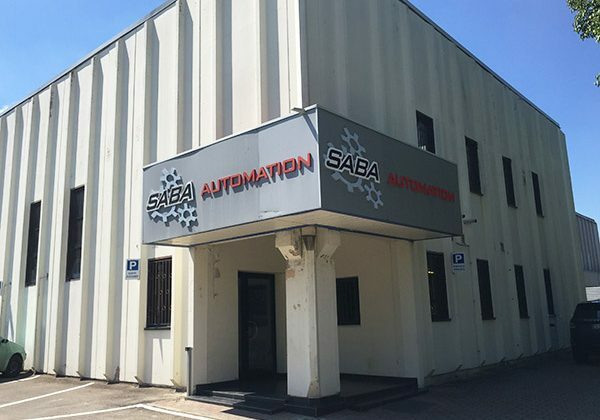 The success of SABA Automation is the result of commitment and dedication to all aspects of our work. By means of this passion, we get the most innovative ideas and, thanks to versatility and value of each staff member, we can turn these ideas into a solution. Passion guides us and we want to involve our customers in this attitude. looking towards the future is a key point of our value. You need courage to be ahead of your time and we find this courage in the certainty that we are offering excellent quality without any compromise. This quality comes from constant research, care for details, stringent tests on our systems and a reliability that distinguishes not only our technology but each of us. If you want to change the world, you have to start from yourselves. Getting in touch with us is simple and fast.